This hand fan is made of high-quality bamboo and smooth water-resistant printed nylon fabric. Fans are 13-Inches long and 23-inches when opened fully. 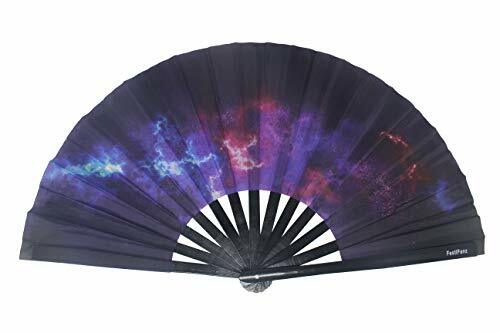 These hand fans are great for outdoor and indoor events.